Waikoloa Beach Resort-Vista Waikoloa Awesome-Quiet Private-THE BEST! Stay in this luxurious, two bedroom, two bath condo. It is across the street from the world-famous Hilton Waikoloa and is also near the Mauni Lani Resort and Fairmont Orchid Resort. 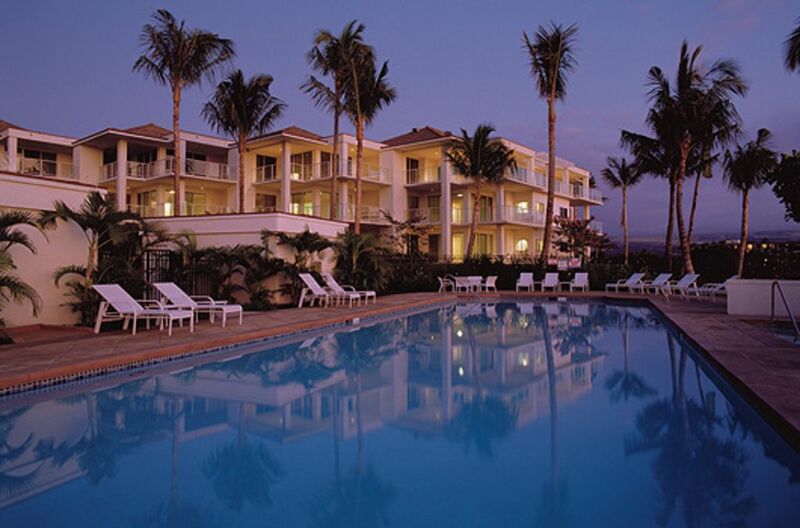 The Vista Waikoloa is a GEM in the Waikoloa Village! The condo itself is spacious and well appointed. It offers spectacular views of the golf course and mountains. It is in a quiet and private location. The resort is nestled around the beautiful crescent-shaped white sand beach of Anaehoomalu Bay. Many water-sports available from this magnificent beach. Windsurfing, sailing, snorkeling, glass-bottom boat, dive trips, etc. The King's Shops within walking offers world-class dining and shopping. Love the location, really close to the beach, shopping and restaurants. Great community of condos and amenities, with prime location for access to everything you need. View of 2 of the Big Islands dormant volcanos! The condo also includes some boogie boards, beach towels, beach cooler etc. for you to enjoy. Very good home for our little family reunion. Super customer service with kid Pac and Play - toys too! We stayed at the Vista and it was a wonderful amount of space four our family of four. The lanai is absolutely huge and had lovely views of the golf course. It was well stocked and the owners were an absolute pleasure to deal with. Very attentive and quick to respond to any questions we had. My son even forgot his football there and the owner hand delivered it to the next place that we were staying. Mahalo! We were a party of 5 and all enjoyed our stay; location is great, quiet, the huge lanai is awesome, the unit is well furnished, pantry had lots of useful spices/items that came in handy. Would definitely rent again! The owner and I are working through an issue about a missing set of keys, however, everything else was outstanding. This is a very nice place and we plan to return. We stayed at this spot for about 10 days and enjoyed the property and location ... we really enjoyed our breakfast on the lanai -- the birds loved the trees and shrubs near the building so we had fun bird watching. The tile floors were nice and cool, and we just LOVED the heated pool -- my son was in it all the time. We had everything we needed and felt we could really relax. I found it a bit noisy with golf course maintenance at times, but it was far from a problem. We were completely unaffected by the volcano ... it was not an issue other than responding to all the people asking us about it! It's all going on far from this spot. Don't let it stop you from coming to the Big Island. It's the best! Working with Dennis, the owner, has been really lovely. I feel like we have a new friend! Owners were fantastic, property all it was shown to be and more. Highly recommend. Located across the street from the world-famous Hilton Waikoloa and just south of the Mauni Lani Resort and Fairmont Orchid Resort; the Vista Waikoloa is a GEM in the Waikoloa Village! The condo itself is spacious and well-appointed with 2 bedrooms and 2 bathrooms. It offers spectacular views of the golf course and mountains, with a spacious lanai to sip your morning coffee and watch the sun rise over Mauna Kea. It is tucked into a quiet and private location in the complex.